"Indian Summer" a photograph of Patriot Drilling Rig 6 operating near Buck Eye New Mexico was photographed in 80 megapixel medium format. The image is actually a combination of three photographs assembled into one 240 megapixel vertical panorama. 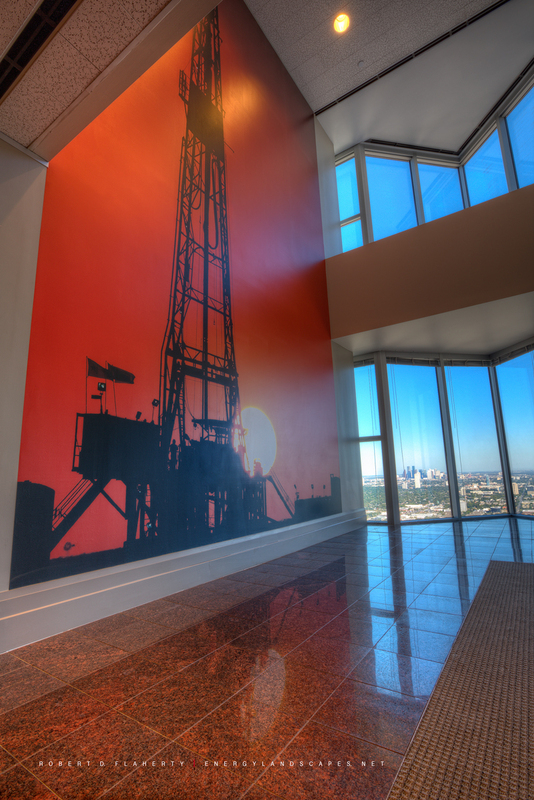 The final image was printed 16x22 feet and spans the 45th and 46th floors of the Williams Tower in Southwest Houston Texas. . Photo © copyright by Robert D. Flaherty.